The User must submit a registration form and provide data concerning him. The User certifies that the information he provides is accurate, complete and undertakes to do what is necessary for it to remain so. In the event that the information provided is false, incomplete or out of date, we reserve the right to suspend or close the participation. While proceeding to its registration the User will be asked to answer and approve these terms and conditions. The login is in format e-mail address and password. The User undertakes not to disclose it to a third party in any form whatsoever or for any reason whatsoever and to inform us of any use by an unauthorized third party and any security breach that may result. . The User is solely responsible for the confidential storage of this information and any use that may be made of it. Closing the account automatically and immediately gives access to the files attached to it. - the URL(s) of the web page(s) on this Site to which you are proposing to link.  Any use of intellectual property assets owned by CEVA shall be subject to prior and express authorization .A lack of authorization may result in severe penalties and may constitute infringement. 2. The reproduction and / or representation of these elements is only authorized for information purposes for strictly personal and private use. 3. link to this Site; without our express written consent. In connection with the creation of cats on behalf of cat owner, you acknowledge that you have the capacity to submit this person to the respect of these Terms and provide the following information to the cat owner. You agree to engage your responsibility for the damages caused by misuse of the Website resulting from such access or use. In case of violation of these Terms, we reserve the right, to close the accounts, to delete or to modify the content contained on this site. We may pass your Personal information to CEVA affiliate companies and suppliers we use to provide services that involve using data on our behalf located outside Europe. Such transfers take place in accordance with Privacy Shield protection rules and security conditions enabling the protection of your personal data. These terms and conditions are governed by and to be interpreted in accordance with French law and in the event of any dispute arising in relation to these terms and conditions or any dispute arising in relation to the website whether in contract or tort or otherwise the French courts will have non-exclusive jurisdiction over such dispute.